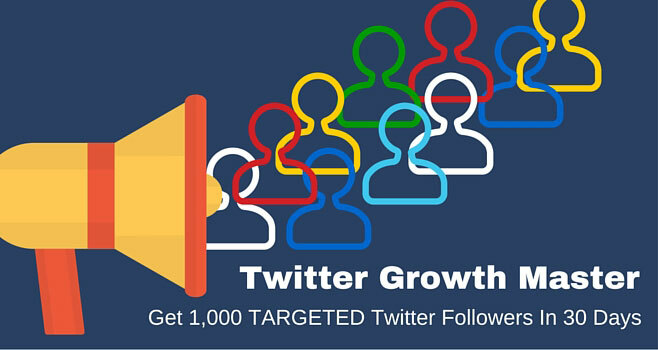 Unhappy With the LACK of Growth Of Your TARGETED Twitter Followers? Are you sick of posting day in and day out on Twitter and seeing little or no growth in your targeted followers? Are you feeling that Twitter is just a chaos of random people tweeting about unrelated topics, cat videos and having meaningless conversations... wondering how on Earth can you find targeted prospects on Twitter with whom you can engage... and later sell to them? But the average Twitter user has only 208 followers... and may we also add – 208 untargeted followers. Based on these statistics it's obvious that Twitter presents a huge opportunity for businesses of all shapes and sizes. And yet millions of Twitter users are actually lost and confused about how to build their audience and develop their community. Yet according to Forbes and Twitter, 74% of Twitter users who follow brands on Twitter do so to get new product notifications! Can you imagine what a huge potential opportunity this is for your business? Your targeted followers are actually waiting for you to release and offer your valuable products and services to them! But you wonder... What if you were "doing" Twitter wrong all this time? Yet Twitter is adding millions upon millions of new users every month which presents a fantastic opportunity to grow your business. There are 316,000,000 monthly active users on Twitter (that’s 316 million). Yes it’s a few times smaller than Facebook, but it’s still HUGE and it continues to grow. Besides, what good are Facebook’s more than 1 billion users when you must pay to play – nobody sees your posts organically, which drives your advertising costs through the roof! In contrast, Twitter puts no limits on your reach – it can become your number 1 traffic and customer getting machine. Don’t waste this opportunity! So how do you find your way around this monster of a social platform? How do you get these followers who are interested to hear about your products and services? Is there a system or “growth hack” that will help you get masses of TARGETED followers that you deserve? Twitter Growth Master - an easy-to-follow, 4-step e-course to help you get the targeted followers your business deserves. There is a big difference between JUST ANY growth and a SMART growth on Twitter. Yes, there is a method to all that chaos, and it works very well in attracting your ideal customer to become your follower and following every word you tweet. 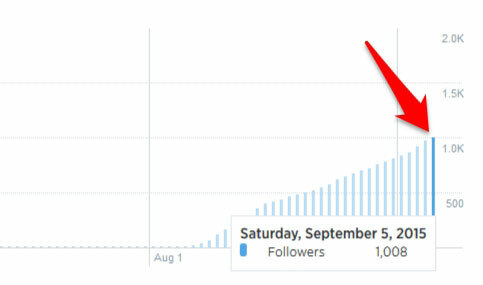 I growth-hacked my way to 1,000 TARGETED Twitter followers for a brand new Twitter account in 30 days. These are not just any followers – these are exactly the ones I wanted to attract and who want to interact with and, later, buy from me. I want to share this structured approach to growing the targeted audience of potential customers on Twitter with you. That’s why I developed an easy and actionable 4-step e-course that will walk you through every single detail of what you need to do to explode your targeted audience on Twitter. How to create a header image which communicates clearly your marketing message and grabs your visitors' attention... leaving them no choice but to click that “Follow” button! A completely FREE image design tool that you can use to create a rock star profile and super-engaging images for your tweets... You'll love the comments, retweets and engagement from your audience! The crucial method of developing your ideal customer… get this wrong and all your Twitter efforts will be completely in vain! The tool which helps you instantly find viral content from blog posts to engaging images to more than 15,000 status ideas… you will wonder how you ever used social media without this tool! Understand the limits that Twitter imposes such as how many people to follow per day, or how many tweets to tweet per day without getting your Twitter account suspended… ignore these at your peril! How to engage with your followers to develop relationships with them… remember, people buy from the ones they know, like and trust, and Twitter is a fantastic tool for building relationships with your target audience! Personally, I wouldn’t attempt this process without having a proven, step-by-step guide to follow, and this is especially true if you’re doing it for someone else (i.e. a client or a boss). With all your good intentions, do you really want to experiment with Twitter, and continue getting no results, or may even get your account banned? At eProfitMethod.com we’ve done all the work for you. We've spent countless sleepless nights figuring out what works and what doesn't, and you can piggy back now on what we put into this easy-to-follow course. We’ve carefully laid out all the steps you need to follow, all with point-and-click simplicity. What would this awesome resource be worth to you? What would it be worth to you if you could get rid of all the guesswork, trial and error in your struggle to build targeted Twitter audience? Today, you can get this incredible course for only $9. When will I get access to the "Twitter Growth Master" e-course? Immediately. You will be taken to the registration page upon payment and have immediate access to the course. You will also receive a confirmation email from ClickBank with the instant registration link. It's an online course, and you'll get your log in details to access it. It's in the text-and-screenshot format showing you in great detail all the steps you need to do to grow your targeted Twitter audience. You can access and follow the course wherever you are, at home or on the go, from any device - PC, laptop, tablet, mobile. Yes, there is a 60-day, no-questions-asked guarantee. In other words, if you are not happy with the "Twitter Growth Master" course for any reason, just let us know and we'll give you your money back. If you have any other question, please contact us at: support@eprofitmethod.com, and please allow 1 business day for us to get back to you.